At Chirp we love new technologies. 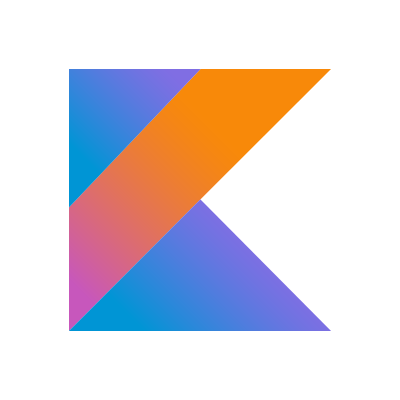 As Kotlin is the fastest growing language we decided to move forward and start experimenting with Kotlin in our Android SDK. In this article, we are going to show you a couple of examples where Kotlin creates cleaner, more elegant code and makes your life easier as a developer. One of the most critical components of our SDK is our Audio I/O module — it does two things: grab the audio buffer from the microphone and send it to the engine to be processed; and send the processed audio buffer from the engine to the speaker when we are sending data. From the first lines of code written in Kotlin, we realised that the code looks tidy and it is much easier to read thanks to lambda expressions. This becomes quite frustrating when you have a lot of buttons in your activity and for each one, you have to implement different callbacks. In other words, why repeat yourself? Doesn’t this look great? We’ll not go in details about how Kotlin is doing this as there are enough articles about that but in brief, the setOnClickListener method already defines the arguments it accepts, so you don’t need to define it again, just pass a lambda function instead which in the end will be converted to a new OnClickListener during the compilation time. We are not using buttons in our audio library, however, we are using threads quite a lot. The reason for this is that Audio needs to be consistent and every minor delay in processing audio can be critical. Let’s take a look at how Threads can be implemented in Java vs Kotlin. And here is how you can create a thread in Kotlin. Isn’t this better? Sure, and again, as you can see, there is no new Runnable defined here, Kotlin will do this for you. Now, going further, as we said, our audio library is used to pass audio buffers between the microphone, speaker and chirp engine. In order to do this in our Java version, we implemented an interface class which instance you have to pass as an argument when the Audio class is instantiated. Next, in order to instantiate our ChirpAudio class we have to instantiate ChirpAudioBufferCallback interface first then we’ll be able to set it to ChirpAudio instance with setAudioBufferCallback setter. How this can be done in Kotlin? First, we don’t really need to create the ChirpAudioBufferCallback Interface for callbacks, we can pass them directly with lambdas. Second, because we removed the callback interface, the instantiation is much cleaner as well. Just this, nothing more, just create the instance and pass the callback function as a lambda and we are done 🎉. Overall, the number of lines in our complete ChirpAudio implementation was shrunk from ~270 lines to less than 100 lines of code — almost 3 times less code and clearer syntax. This is the first experience with Kotlin we had I can confidently say that this is the feature of mobile development. I’m certain that sooner or later it will replace Java boilerplate and that this is a good thing. However, taking in consideration that Kotlin gives you so many features, it can be very easy to write a badly designed code so you must be careful with that. Another thing that surprised me is how easy is to write unit tests. Thanks to Mockk testing library you don’t have any issues with mocking static methods while Spek framework makes unit tests look beautiful — but this is for another blog post. In conclusion, according to stackoverflow, Kotlin became the second most loved language in 2018 and I bet will become the first most loved language in 2019 and to contribute to this, here is another ❤️ from me. Chirp is really happy to partner with Universal Music Group, Microsoft, JUCE and others to support the first Abbey Road Studio Hackathon at their historic Studio One.